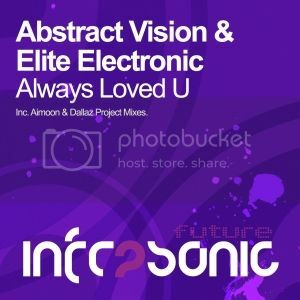 Abstract Vision & Elite Electronic - Always Loved U (Remixes) [Infrasonic Future] | OUT NOW! Thread: Abstract Vision & Elite Electronic - Always Loved U (Remixes) [Infrasonic Future] | OUT NOW! After delivering that money shot in the summer of 2012, the iconic sounds of Abstract Vision & Elite Electronic’s ‘Always Loved U’ returns with two up to the minute, fresh remixes. We begin with a dirty bass driven beast from Aimoon, who delivers a fresh alternative to the original. With its edgy bass note, soothing pads and choppy vocal effects, this mix is the perfect pick me up with its euphoric break and soaring leads. Taking things on a more uplifting stance, Dallaz Project serves up remix number two and it’s a mouth-watering selection of pin point sounds. Those lush vocal effects, warm pads and low bass rumble all give you a warm, fuzzy glow. Get ready, as at the drop it’s a huge throbbing euphoric rush. Two essential remixes that inject some new life into an already classic crowned original, quite simply - big!